What are the best job search sites for remote job seekers? If you’re new to the world of work from home or simply want to know what the best job search sites are with remote-friendly leads, don’t worry! Today, there are PLENTY of job boards and sites you should turn to if you want to work from home. Keep in mind, not all job search sites are created equal — especially for work-from-home. So, be cautious of any sites that ask you to pay for training or material in order to work from home. Chances are, it’s a scam! Don’t do it! Instead, look for job search sites and job boards that list a variety of ads, not just a “program” or “system” that promises work-from-home riches for little to no work. Before we talk about the best job search sites for remote jobs, let’s talk about how the way we look for work has changed. Even 10 years ago, if you wanted a job, you’d open up your local paper’s classified section, grab a Sharpie, and start circling promising print ads. Then, you’d fire up the ol’ computer, print out a couple of resumes (make your resume remote friendly btw), and hand deliver them with a handshake to a couple of different companies. 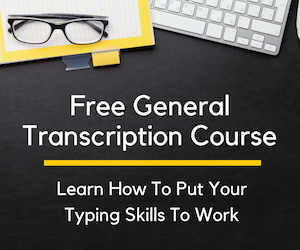 It was likely that you’d get a phone call soon thereafter for a formal interview. And, if all went well, eventually offered a job. Today, with advances in technology and a more streamlined approach to human resources, most of the hiring process is done online — from the job posting to application submission and, yes, even the interview! This, of course, is especially true for remote job seekers. You won’t be expected to come into an office to work. So, it only makes sense that you won’t be expected to come into an office to fill out an application or interview. Because the world of recruiting for remote work has gone almost entirely online, it’s important for work-from-home job seekers to have a solid online presence. After all, a whopping 80% of recruiters will google potential candidates before they invite them to interview. What Google says about you can make or break your chances of getting an interview (and eventually getting hired!). Your online presence, as a whole, is collectively known as your personal brand. Think of your Twitter, Instagram, LinkedIn, and Facebook pages. These are the profiles easily found via a quick Google search. They also happen to be the very things recruiters are browsing to find their next hire. If you’re worried your online presence is less than perfect — fear not! There are ways you can polish up your digital footprint so you knock the socks off of any recruiter. Remember, when looking for a remote job, your online presence is the only impression a recruiter will get of you. There is no in-person meeting or local interview you can use to strut your stuff. Instead, your online persona will do all the work for you. To say it’s important to take a serious look at your professional presence online is an understatement! Get started today when you set up your own personal website that gets you hired. 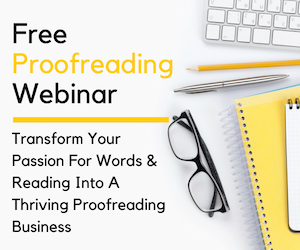 It’s the first step you should take to get yourself noticed (in a good way) online. Follow that up with a fresh LinkedIn makeover. A powerful profile can help job offers come your way in no time! Okay. 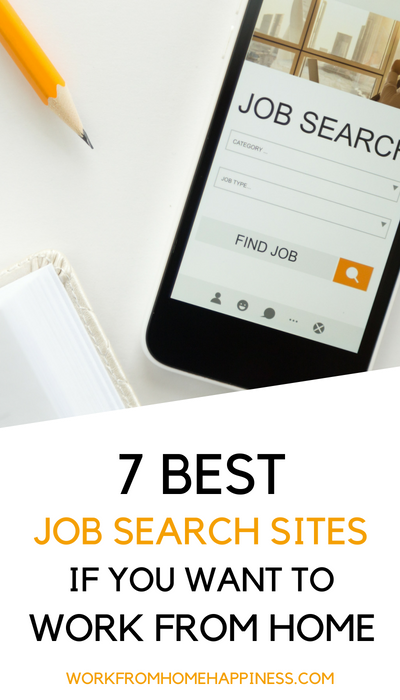 Now that you know how the world of recruiting has changed AND why it’s important to be visible online (before you start your job search), it’s time to get to the good stuff: best job search sites for remote work! Here are my seven go-to job search sites I use daily to find hundreds (yes, hundreds) of work from home jobs every single day. Indeed is a large job search engine. Essentially, Indeed scours the corners of the Internet to find job listings across thousands of sites and brings them all conveniently in one spot. It also happens to be a treasure trove of remote job listings! And it couldn’t be simpler to filter your results to only remote-friendly options. Then, hit the find jobs button. You’ll be instantly given a list of remote job options from hundreds of companies! Want to know what’s even better? Indeed has a free job alerts feature that lets you receive a daily email digest of new remote jobs. It’s just one of the ways you can put your work from home job search on autopilot! On average, there are 30+ new work from home jobs to be found on Indeed every single day, making it one of the best job search sits for out-of-the-cubicle thinkers, like you! More than 100,000 remote job seekers turn to We Work Remotely every month to help them find a job that isn’t restricted by geographic location. You can too! Work from home jobs are broken down into categories. Some of the most popular categories include Marketing, Customer Support, and Programming. But, be sure to browse through all their listings. At any given time, there are more than 70,000 remote jobs posted. You just never know what you’re going to find! Worried about work-from-home scams? With FlexJobs, you don’t have to! That’s because they hand screen every single listing on their site. And, FlexJobs guarantees every listing on their site is 100% scam-free. Your FlexJobs membership gives you access to thousands of legit work-from-home jobs from tons of companies you can trust. Plus, FlexJobs offers plenty of resources to help you find the work-from-home job you crave. 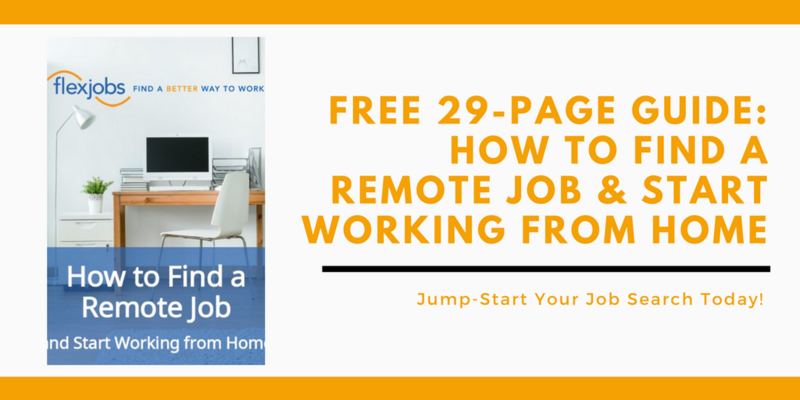 My favorite is this free guide that shows you how to find a remote job and start working from home. Sorry guys, this one is for the remote job seeking women out there! (But don’t worry, men can browse the site too!). Power To Fly was established by women for women who want career and family without having to sacrifice one or the other. To do that, they connect women with companies that offer flexible job options, that include work from home! You can browse jobs by popular categories or discover companies that regularly have flex and remote job options! Don’t forget to check out their resources, which include webinars, events, and videos! Not only is Power to Fly one of the best job search sites for remote job seekers, but it’s a valuable resource to help you master your unique job search. Looking for 1,000 remote jobs at any given time? Then Jobspresso is the place for you! Not only is this one of the best job search sites for work-from-home, it also has some great features that help put your job hunt on autopilot. For example, after you sign up, you can post your resume so remote-friendly employers can easily find YOU. And you can join 9,000+ other remote job seekers with daily Twitter and Facebook job leads. How’s that for simplifying your work-from-home job search? Remotive isn’t just a job search site. It’s a community of out-of-the-cubicle thinkers, like you. Currently, more than 25,000 remote-minded individuals belong to Remotive — and that number grows every single day. Remotive often shares work-from-home job leads from startups. But, you can also find long-established and familiar companies with work-from-home jobs mentioned too. 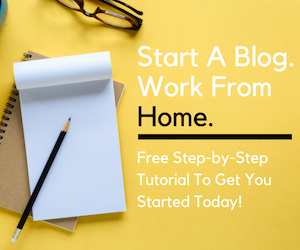 Be sure to sign up for the Remotive newsletter for almost weekly digests filled with helpful advice for when you want to work from home but don’t know where to start! One of the main reasons many of us want to work from home is so we can avoid hours-long commutes every day. Sound familiar? Skip The Drive gets that. And that’s why they’re one of the best job search sites if you want to work from home. Like any good work-from-home job search site, Skip The Drive has plenty of legit remote jobs posted every single day. But, they also have a TON of resources that are completely free. My favorites include, their remote company list and a savings calculator that’ll show you just how much money you can pocket just by ditching your commute for good! There you have it — the 10 best job search sites to help you (finally) find a real remote job. Be sure to check the sites often, and take advantage of their email newsletter for extra advice and job leads directly in your inbox! Have a question? Feeling lost? I’ve got you! Be sure to leave a comment below. P.S. This post contains affiliate links. Please read my disclosure statement for more information.